It's time for another easy summer kids craft! Awhile back I tried out a box from Little Loving Hands and made a cute no-sew felt tie heart pillow with my son. It was so fun making that easy pillow that we made another! Today I'm sharing these two adorable no-sew felt lion and sun pillows! 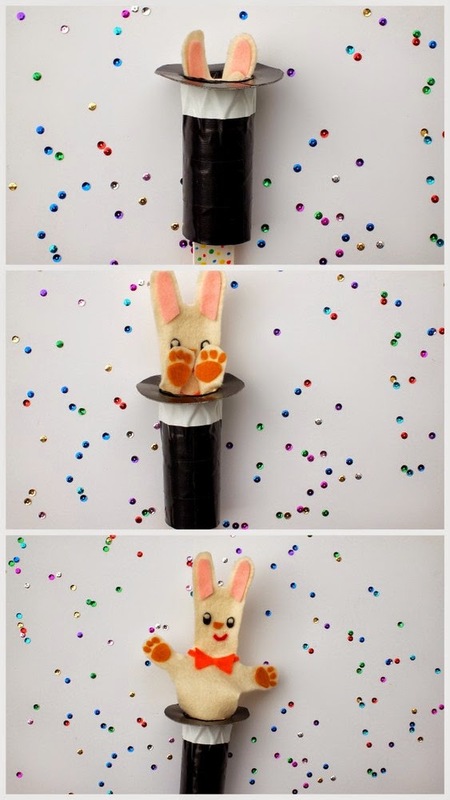 Today I'm living out my secret (or now, not so secret) fantasies to be a magician with this fun pop-up rabbit puppet. Simply push the stick and a rabbit pops out of a magician's hat! 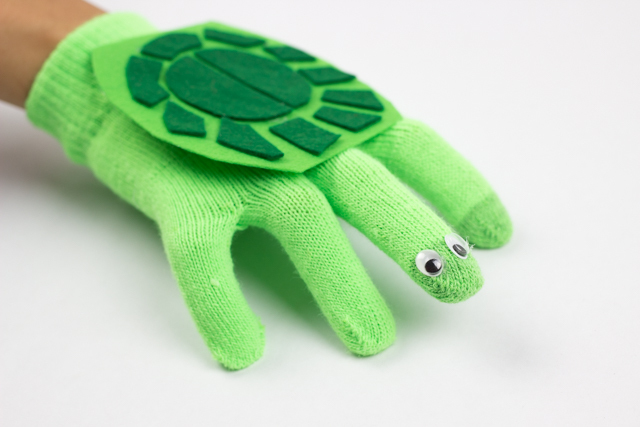 To see how I made this handmade toy, visit Handmade Charlotte. Are you looking for a fun, open-ended, creative activity to do with the kids? Then this DIY Felt Shape Activity is right up your alley! It's easy to make and provides kids with countless opportunities to be creative, use their imaginations, visualize things spatially, and practice using their mathematical language! Tomorrow the theme is bunnies at our library toddler group. We're going to make paper bag bunnies and play a bunny game too. Since I already had this lovely large piece of cardboard, I made a really simple Cardboard Easter Bunny Bean Bag Toss game.... complete with... wait for it... carrot bean bags. Ack. Too adorable. Too adorable! (Btw, is it strange that I swoon over large pieces of cardboard?) Hrmm... anyway... hopefully the kids will have fun playing tomorrow. But even if they don't, I'm just going to lug this guy home and prop him up against my wall. His cheesy grin is just too cute. Today's craft was inspired by gingerbread houses. It's a little cardboard and felt "gingerbread" house with felt "candy" decorations. Pretty neat, right? All the decorations can be easily placed on and taken of, so you can decorate and re-decorate to your heart's content. If you'd like to make your own, keep on reading! Now, in full disclosure, I wish I could say that Chuck loved it and played hours and hours with it while I took a nap on the couch. Errrm..... It didn't quite turn out that way. He played with the car parts for a bit, but then seemed much more interested in rolling around real cars. But I won't call this a craft fail just yet. I'm hoping (cross your fingers!) that he'll grow to love the felt board as much as I did. But if not, no big deal. The entire thing only cost about 4 dollars to make because I already had most of the materials lying around the apartment. Score! 2. Take out the back of your photo frame. Discard the glass. Place the back on your piece of felt and trace it. Cut the rectangle out. 4. Place your piece of felt directly over the photo frame back. Make sure the sides all line up. To help with the gluing, fold one side of the felt over the other. Then, use your sponge brush and brush a bit of Mod Podge right next to the fold. Press the fabric down over the glue. Then, spread a little more Mod Podge next to your new fold and press the felt down again. Keep repeating this procedure until one side is fully glued down. Then, repeat the procedure with the other side. 5. Once the Mod Podge dries, put your board back into the frame. That's it! Now comes the fun part- making your felt pieces. Doodle your designs onto paper. Then, trace them onto felt and cut them out. I chose to make a set of Christmas tree felt pieces and a set of car part pieces. Did I make a hobby horse from a hockey stick? And why stop there? Why not make a hobby dragon too? I hope you had a good Valentine's day. We celebrated with a party at the library and a quiet dinner at home. It's official! Fall is now upon us. With cooler temperatures rolling in, Hubby, Baby Chuck, and I are changing up our wardrobes. We're putting on long sleeve shirts and pants, no longer shaving our legs (oh wait, that's just me- tmi? ), putting on shoes instead of sandals (goodbye sandal tan), and wearing jackets. Hubby been looking forward to fall ever since we've moved back east because he loves wearing jackets to work. As a serious lover of all things stylish, he's also hinted that he'd love some small flowers to adorn his lapel (as seen here.) I peeked around the internet for inspiration and then set out to make him some felt flower lapel pins. *Note: I bought cheap polyester felt from the craft store. (30 cents a piece? You just can't beat that price.) You would definitely get a more polished look if you purchased nicer wool felt. We initially created these pins as mockups, thinking that we'd create real ones with wool felt later on. But, the pins came out so nice that we just decided to use them. How long will the pins last? Will they quickly look ratty? I'm not sure. Let's see what happens once hubby starts wearing them to work. Step 2: I cut out my flower shapes, circle shapes (flower centers), and square shapes (flower backs). Step 3: I used a hot glue gun (it was my first time using one!!!) to glue the squares onto the flowers. I did this so that my flowers pins would feel a bit more substantial, since I used cheapy felt. Plus, I didn't want my stitches (step 4) to be visible. Step 4: After the glue dried, I sewed a bobby pin to each square, making sure to not sew through the front of the flower. Step 5: I hot glued a circle to each flower to complete my little garden of felt flower lapel pins. I think the pins came out super cute and add just the right touch of whimsy. They'll definitely spruce up hubby's work outfit. Hmm, but why stop at just work outfits? 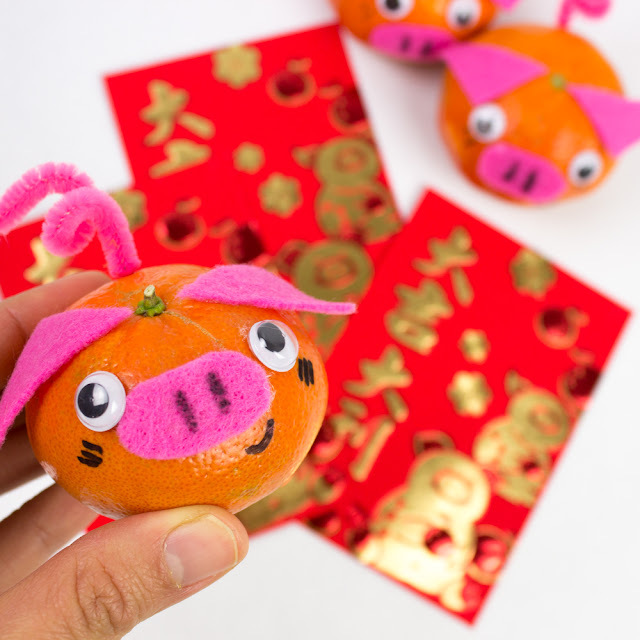 I bet these little guys would also look really cute as wedding boutonnieres too... don't you think?